Waiting to see which are the best themes of the moment ? WordPress recently upgraded to WordPress 3.0 and many users are wondering how old themes are working on the new wordpress. The good news are that old themes are working perfectly with the new wordpress, but there are few disadvantages: Old themes can’t take advantage of new features added to WordPress 3.0. If you think about switching theme, now is a good moment to do it. With a fixed size of 920 pixels, Manifesto is perfect for a news site. 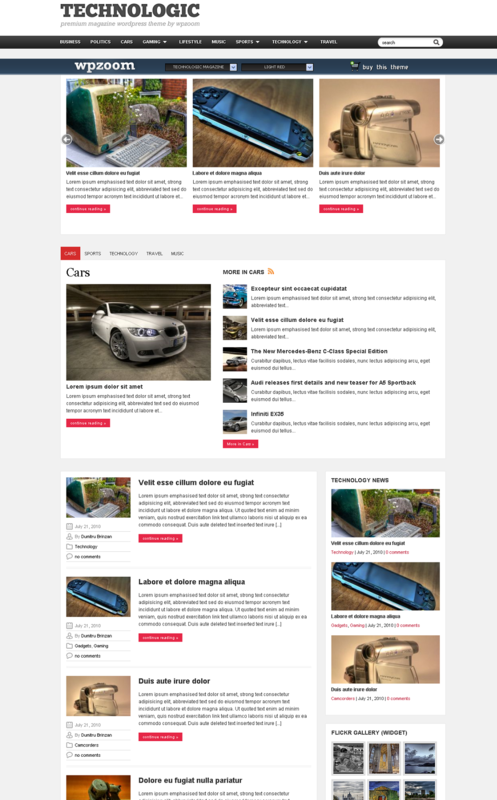 A featured slider can show your most important ( or recent ) posts, and the main ability of the theme is that it displays news items in a professional way: small thumbnails with titles or description under. Another important feature for a news site is that you can show featured categories on the homepage, where most recent post for specific categories can be shown. Along featured post slider and recent post in the top section of the theme, you can use a nice widget made with jquery where your visitors can go trough your website topics and see recent stories posted there. Here is a preview of Manifesto theme, you can get it from here. You can get Manifesto theme from Wpzoom. Since we live times when mobile market is getting bigger and bigger every day, with Android on a fly, there is a great need of Mobile related themes. MyApp theme is small and nice, but it is not designed for articles or news. It is designed for app developers to sell their mobile apps. It is perfectly designed to make the visitor to click on the “buy now” button. 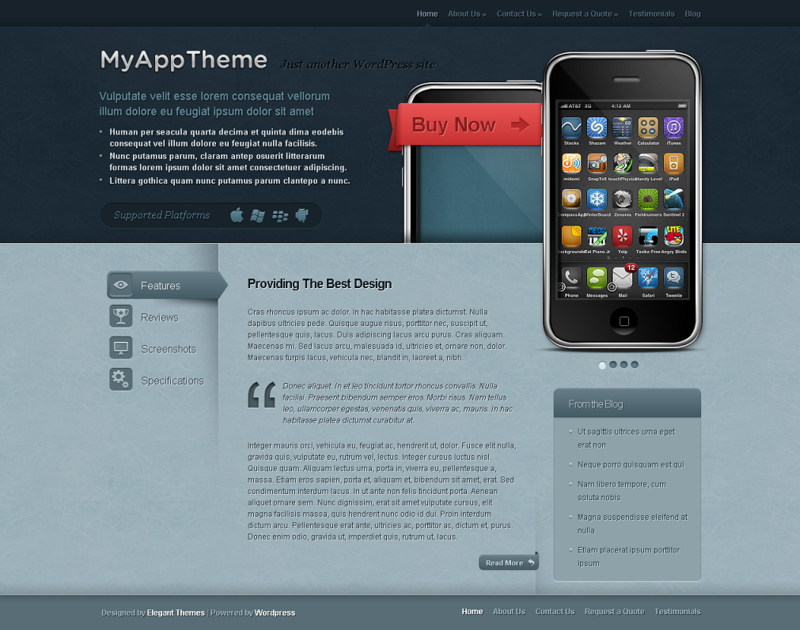 Click here to get MyApp Theme. Delucide is a different theme. It is an artistic theme with a great desing. Since the design is not designed for a great user experience, it can be used to impress visitors with high graphics. Delucide theme is perfect for a photo/video portofolio. You can get Delucide from ThemeShift. 4. Side Blog theme from Press75. Looking for a theme perfect for a place where you can freely express your thoughts ? Side Blog theme is perfect for a personal blog, or a niche one. Clear design where your visitors can focus on your content, and not on other design stuff. 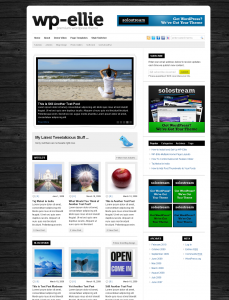 This is the preview of Side Blog theme, click here to download the theme. Prosper theme is great for a blog where you can write about anything but you have one thing in mind: the profit. The theme is well balanced so it can support many ads where you can sell stuff. The design is clear and your visitors won’t get lost into the website. Has a lot of build-in widgets for social integration. Click here to download Wp-Prosper. 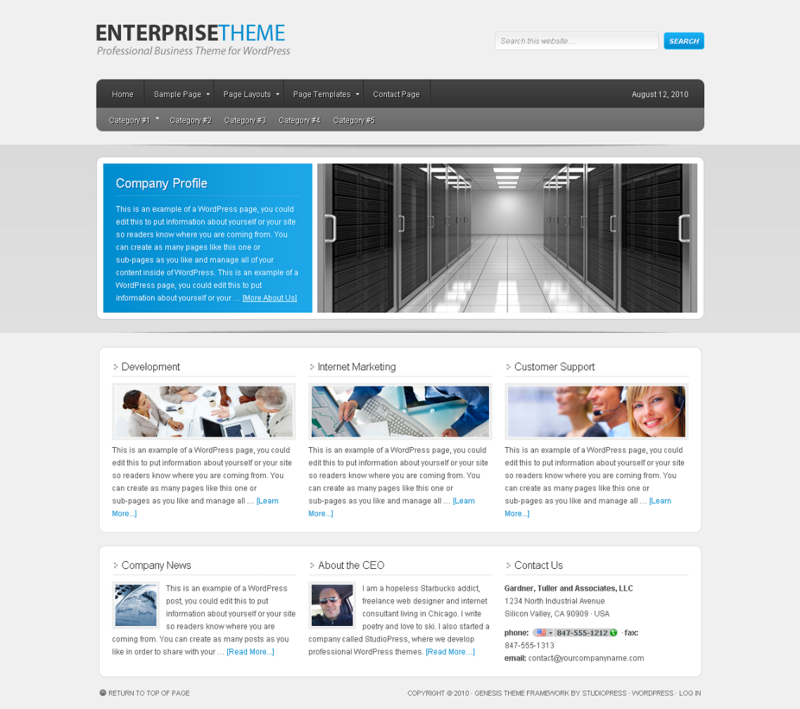 The Enterprise theme is perfect for a company website presentation, a project presentation or a campaign. The 2-tier menu provided represents an excellent navigation for a site with many pages. At the top of the page there is place for a descriptive image and a description. Under the description box there are 3 small boxes where you can present main features for your product. The homepage can also be used as a landing page. Download Enterprise Theme from Studiopress. 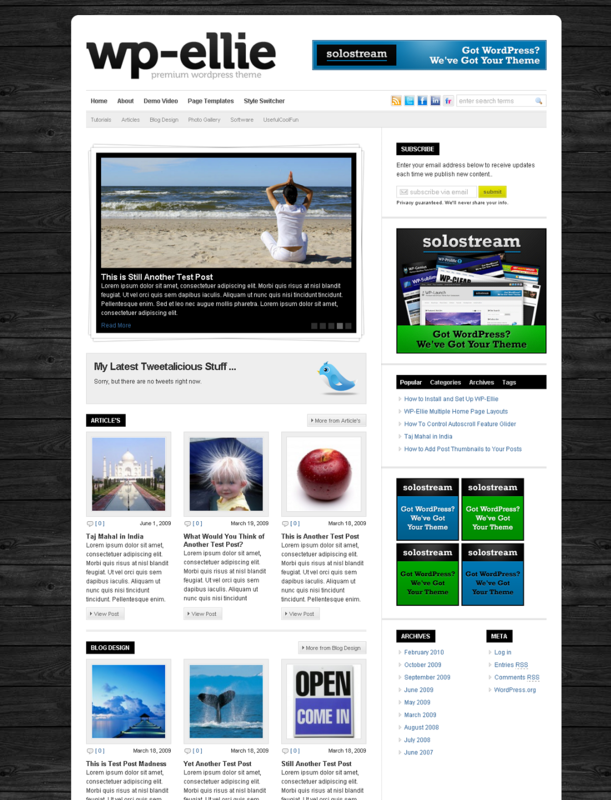 Technologic theme was just updated to support the new features from WordPress 3.0. The most important: menu management. Technologic theme is suitable for technology trending topics like Mobile market. Many mobile and technology news website appear these days. To succeed and stand out of the crowd you have to use a professional theme. Download Technologic 2.0 from Wpzoom. 8. 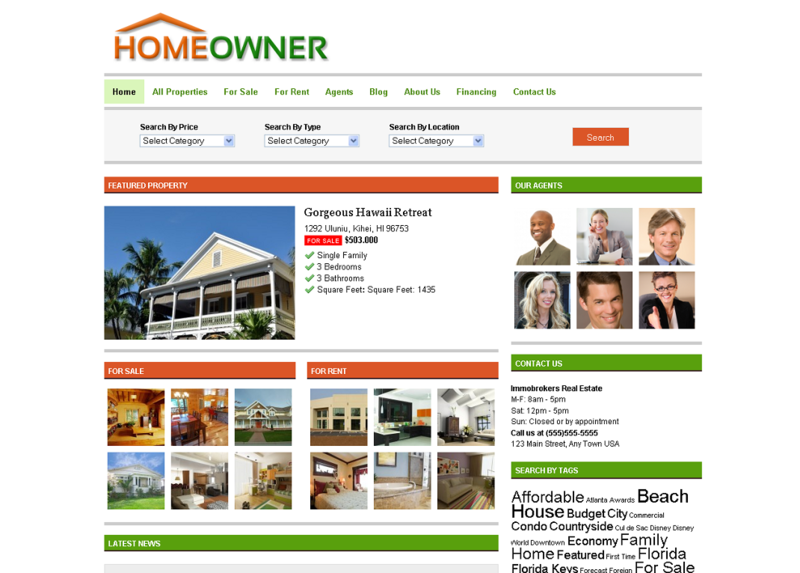 Homeowners Real Estate Theme from Gorilla Themes. Finally, a theme for Real Estate market. The market is in a continuous falling, but this is not a reason to not improve your design to attract more visitors. A good design can make houses to look better, and a cleaner one can make your customers to feel liberty. Homeowners real estate has both advantages: clean and good looking. Download Homeowners theme from Gorilla themes. Magazine theme is great for news and short articles with good looking photos. It is made to catch the eye of the visitors with the clean design. 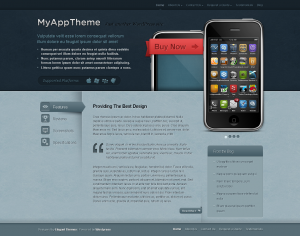 The advantage is that is not a normal theme, it is a child theme for Genesis Theme framework. The advantages of using a theme framework are many: you benefit from a lot of widgets to use in your theme, advanced customization directly from your wordpress administration panel. You can read more about the Genesis framework here . 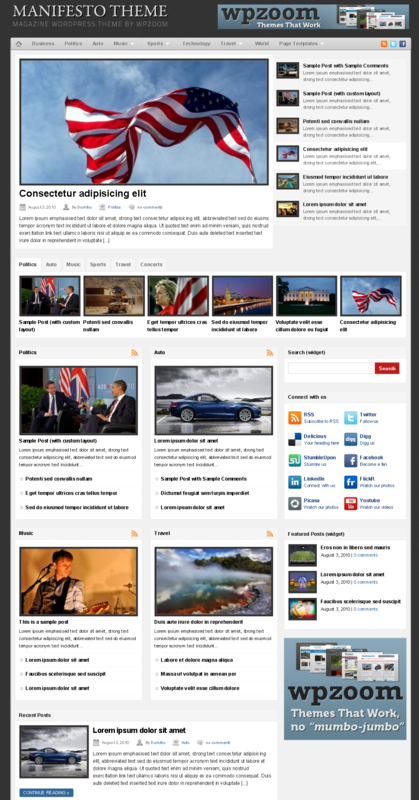 Wp-Ellie is a great looking professional theme designed to fit for a various topics and uses. The elements of design are awesome and you just forget you are on your computer. If you judge by the design, Solostream is providing the best. You can download WP-Ellie from Solostream. I hope you like this selection and it helped you to find a good theme. If you enjoyed it please share it with your friends. They will appreciate. 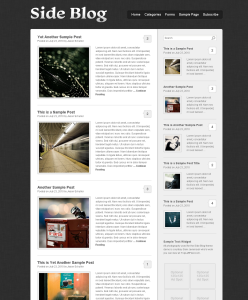 I don’t know if I’d go so far as to say these are the ‘top’ WordPress themes but they are pretty nice. I’ll be coming out with some of my own pretty soon. When I do I’ll post a new comment here for you. Thank you for your comments. If you want to build a list with your favourite wordpress themes i can post them as a new article on my blog, with credits to you. Please contact me using the contact page and i will create an username and a password for you. Decent web site! Thank you! Thank you for your interest and appreciation of my website.